What a great place where animals are cherished, loved, and nurtured. If you care about our four legged friends, and even two, schedule a visit. You won't be disappointed. 5 star I love this place. 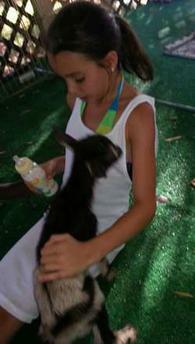 My first experience with goats was years ago when I first moved to Tucson. They were the cutest beings. I saw cows and horses and dogs as well. Shelby is a very giving person with animals and people. 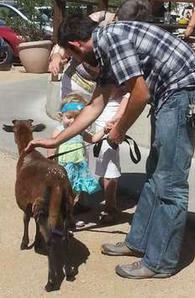 It's a great place for children to visit to see farm animals first hand. I love the farm and I love Shelby. She leans on God and God will provide. 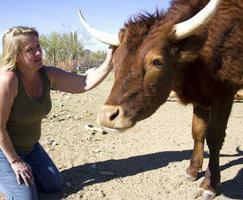 Lisa Rynda — 5 star Run by an amazing woman with a love for all animals that is unparalleled. Aric Koenig — The compassion that Shelby shows these animals is unmatched. Every critter here is treated like it is her only child. She truly is an amazing woman , everyone should treat animals the way she does. Thank you Shelby for helping our furry friends. "HOOFSNHORNS FARM SANCTUARY..Most amazing place ever!" 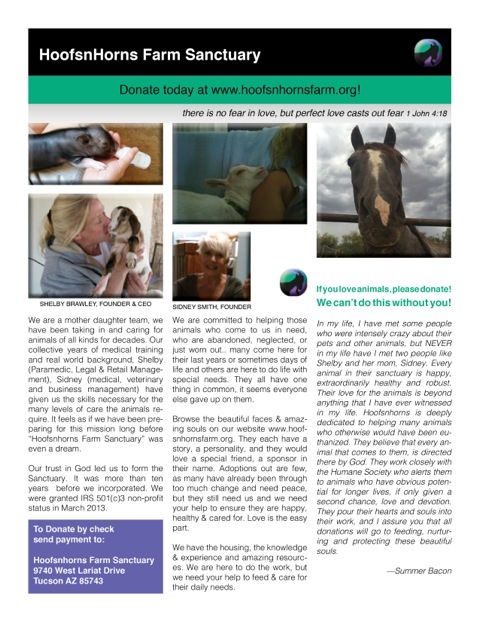 Feed and other donations can be made any time! arrange time between feeding, hay runs and other projects so we ask that you contact us to schedule. We ask for $5.00 donation per person. Other ideas include holding a FEED DRIVE is fun and helps us greatly! Your group can collect bags of cat, dog, bird, pig and livestock feed and bring them to the Farm in lieu of any tour charges. (One bag per person). Since we are very small and family operated, we do not have regular "OPEN" hours and are unable to accommodate drop in visitors. Afternoons & weekends are the best time to schedule visits to tour the Farm. We enjoy meeting with visitors (as do the critters), and like to be able to take the time to tell you some of their stories while you pet and love onthem. Plan to spend at least an hour. We will give you detailed directions and a cell phone number via email when you schedule your visit. If you need to cancel, please give us 24 hours notice. Plan to arrive on time and enjoy an adventure on the Farm. Sometimes there are emergencies with the animals on the Farm. 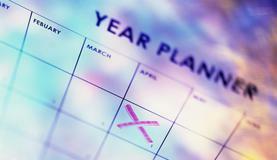 If something unexpected should arise and we are unable to meet with you as planned. We will make every effort to contact you as quickly as possible, via email or phone to reschedule so as not inconvenience you as well. There are many wonderful items in our Farm Store available for purchase. 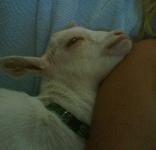 Come and see our wonderful Goat Milk Soap, one of a kind jewlery, local art pieces, Tshirts and other fun items. 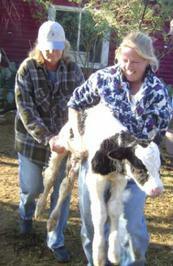 Talk to us and we can create all sorts of fun farm experiences for your group! Extremely hot or cold day are not fun days to walk around the Farm. If we have recently had rain there will be lots of mud. Please plan and dress accordingly. Many of our animal family are free to roam. If you or your children are afraid of something, this may not be the best place to visit. The animals will be interested in checking you out by nibbling on your clothes, shoes or hair. This can be uncomfortable and scary for some. We want you to have a fun time at the Farm, so please take this into consideration before you schedule a visit. All children must be with their parent or guardian at all times. NO EXCEPTIONS. We have dogs loose in the parking area and often other animals throughout the property. All our animals are friendly and healthy yet all animals are unpredictable. We are not responsible for accidents or injuries. A Release must be signed by anyone touring the Farm. NO one is allowed in any animal area with an illness. This includes colds and flu, for your safety and the safety of our animals. Please schedule your visit to the Farm when you are all healthy. None of our animals enjoy being chased. This is frightening for them and can cause accidents and injury. This will not be acceptable behavior and is strictly enforced. Most of our animals will seek you out for attention. 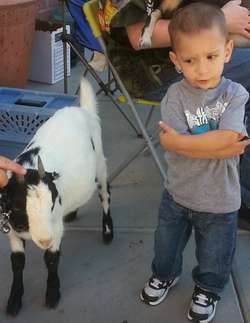 The child who sits quietly will get a lot of animal attention, we often provide treats for you to feed the animals. We will let you know which animals may be picked up and held. If for any reason the animals are being frightened or bothered the tour will end immediately. There are certain times of the year when we are not be able to have visitors, or additional regulations for health and safety are in place. For example: During "Parvo" season, you could be asked to step thru a bleach wash before walking into animal areas. It is easy to bring disease in on our shoes from many common areas. The health and happiness of our animals is our number one priority. I realize that a "trip to the farm" sounds like a fun day to bring the family dog along. For the safety/health of your animals as well as ours, no outside pets are allowed. It is not a good idea to have them in your vehicle as well. Our friendly dogs will want to jump onto the door of your car to "visit" with them. We sometimes have healthy animal treats available here for purchase. You may bring snacks to feed such as carrots, apples, celery, watermelon, cantaloupe, pears, and animal crackers. NO CHOCOLATE OF ANY KIND. NO AVOCADO OR ANYTHING WITH A PIT. When in doubt – please ask! WE HAVE SOMETHING VERY SPECIAL HERE! When visiting the Farm you will quickly notice we have something very special here. It is a peaceful, gentle place. You will see how all the animals of various species live among each other and get along. They enjoy each others company. This is another reason we really desire a safe and calm visit. This is their home, your kind consideration of them is greatly appreciated. Thank you for supporting our Farm and all the beautiful animals here. There are private roads closed to traffic that they do not publish. 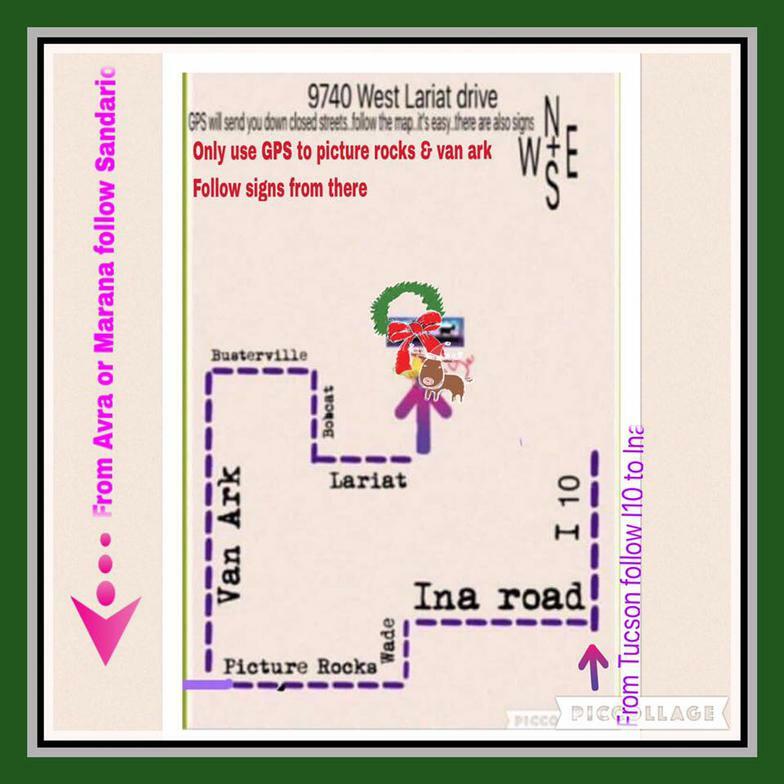 Please follow directions we provide or go to Picture Rocks & Van Ark Rd. and follow signs from there .. please only at scheduled times as we keep main gates closed for the animal safety and will look forward to meeting you at the scheduled time. You can take all the time here you like and we encourage you to browse our farm shop too! We do accept and appreciate your recycled Christmas trees, safe tree trimmings or feed donations at any time, you do not need to schedule those with us and can drop them at your convenience at the main gate/donation trailer.. thank you! Visits, tours, parties & more..